David Lawrence Sackett, son of De Forest Sackett and Margaret Ross, was born in Chicago, Cook County, IllinoisG, on 17 November 1934.1 He died aged 80 in Markdale, Ontario, CanadaG, on 13 May 2015.2,3,4 He married in 1959, Barbara Louise Bennett. Dr. David Sackett, whose clinical trials proved the value of taking aspirin in preventing heart attacks and strokes, and who helped pioneer the use of exacting statistical data in treating patients, died on May 13 in Markdale, Ontario. He was 80. The cause was cancer, said a family spokesman, Dr. R. Brian Haynes of the department of clinical epidemiology and biostatistics at McMaster University in Hamilton, Ontario. Dr. Sackett founded the department in 1968. Within his profession, Dr. Sackett was known for helping to develop evidence-based medicine, which is defined as making treatment less subjective by integrating a doctor’s clinical expertise with the results of carefully controlled studies. Dr. Sackett also developed methods for evaluating health care innovations and for teaching medical students how to apply research results in their clinical practice. In addition to benchmark studies on the benefits of aspirin, his research teams showed the value of surgically removing arterial plaque, developed new ways to treat high blood pressure and demonstrated the effectiveness of nurse practitioners. Doctors now routinely recommend daily doses of aspirin for many patients who have had a stroke or heart attack or who face even a relatively low risk of one in the next decade. Dr. Sackett was the author or co-author of 10 books, including “Evidence-Based Medicine” and “Clinical Epidemiology: A Basic Science for Clinical Medicine.” He remained at McMaster for 26 years and served as physician in chief of medicine and head of the division of general internal medicine at Chedoke Hospital, also in Hamilton. In 1994, he left to establish the Center for Evidence-Based Medicine as a professor at the University of Oxford in England. He retired from clinical practice in 1999 and returned to Canada. David Sackett was born on Nov. 17, 1934, in Chicago. He said he adopted the middle name Lawrence when he was baptized as an adolescent because his older brother was attending Lawrence College, in Appleton, Wis., and his girlfriend had a younger brother named Larry. His father, DeForest, was a designer and artist. His mother, the former Margaret Ross, was a homemaker. Bedridden for months as a child with polio, David recovered and exercised to develop into an accomplished runner. He also became a voracious reader and, he said, the youngest member of the Society for the Preservation and Encouragement of Barber Shop Quartets Singing in America (also known as the Barbershop Harmony Society). Teachers and friends convinced him that he could better understand physiology by becoming a physician. He received his medical degree from the University of Illinois College of Medicine and a master of science degree from the Harvard School of Public Health. He was recruited by the United States Public Health Service and sent to the Chronic Disease Research Institute in Buffalo. Dr. Sackett was invited to join the faculty at McMaster’s newly opened medical school when he was 32. Dr. Sackett, who lived in Markdale, is survived by his wife, the former Barbara Bennett; four sons, David, Charles, Andrew and Robert; eight grandchildren; and a brother, Jim. He said in the oral history interview that he was most proud of "the brilliant young people I taught and mentored" and of his "ability to translate, demystify, explain, promote and popularize research methods." His colleagues also appreciated his sense of humor. He recalled that while he was testifying in a case as an expert witness, a lawyer handed him a research paper supposedly proving the safety of a drug that was in dispute. He read the paper and concluded that it was flawed. "Well, I could take several more days and show you dozens more papers on this topic, but the jury would probably want to lynch me," the lawyer insisted. "I would welcome that," Dr. Sackett said. "Well, we could meet after the trial and go over these papers together," the lawyer suggested. To which Dr. Sackett replied, "No, I meant that I would welcome the lynching." —The New York Times, digital image, (http://www.nytimes.com/), 19 May 2015. 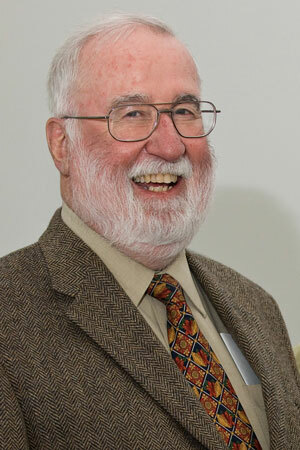 See also Wikipedia, David Sackett. "Cook County, Illinois, Birth Index, 1916–1935", database, Ancestry.com, "David Sackett, b. 17 Nov 1934, Cook County, IL." Website The Scientist (http://www.the-scientist.com), obituary. The New York Times, digital image, (http://www.nytimes.com/), obituary. Owen Sound Sun Times, Ontario, Canada, obituary.